Follow the paths of Sarah and Will (or Sam) as they tell their stories of trust, secrets, and betrayal on the frontier in the old West. Their pioneer spirit helped to fuel the expansion into the Western territories of the United States. The two are historically on their separate journeys, yet they remain intimately connected. 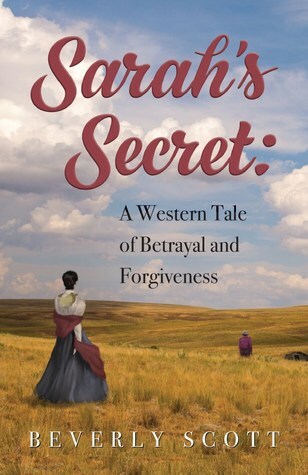 Through the fictionalized Western frontier tale of Sam and Sarah, the author, Beverly Scott, was inspired to reveal rumored secrets from her family history. In 1878, Will is on the run after killing a man in a barroom gunfight. He escapes the Texas Rangers by joining a cattle drive as a cook headed to Dodge City. He struggles with the dilemma of saving his life or attempting to return to his pregnant wife and five children. Just when he thinks he might be able to return home, he is confronted by a bounty hunter who captures him and plans to return him to Fort Worth, Texas to be hanged. Although Will changes his name to Sam, he remains an irresponsible, lonely and untrustworthy man on the dodge from the law who abandons the women he loves. He ultimately seeks redemption and marries Sarah. In 1911, Sarah, a pioneer woman and widow with five children struggles to find the inner strength to overcome betrayal, loneliness, fears, and self-doubt. Her husband, Sam, thirty years her senior, died with a mysterious and defiant declaration, “I won’t answer!”. Despite poverty and a crippling illness, she draws on her pioneer spirit to hold her family together and return to Nebraska to be near her parents and siblings. When Sarah returns to Nebraska she receives staggering news which complicates her efforts to support her children. She is shocked, angry and emotionally devastated. Since she is attempting to establish herself in the community as a teacher, she believes she must keep her secret even from her own family. Will Sarah find forgiveness in her heart and the resolve to accept her new life alone? “In the flash of one moment, the trajectory of a man’s life and of those who loved and depended on him changes forever. The developing plot draws the reader in as we wait to see how this one action reaches into and impacts the lives of future generations. Set against the backdrop of a post-Civil War nation, when thousands headed west to escape their past, disappear into the horizon, and remake themselves, this biography is a rich study of pioneer ethos and the risks faced every day. The women touched by this man, who kept his secrets close, are heroines of courage, steadfastness and goodness. Beverly Scott is an author who has a way of painting word pictures that make you feel like you are a part of the story as it unfolds towards the discovery of his devastating secrets.” -Patricia and Craig Neal, co-founders, Heartland Inc.
Bev specialized in serving executives and managers as a leadership coach and organizational consultant for over thirty-five years. She taught organization psychology and founded The 3rd Act, a program whose mission supports positive aging. As she grew into her own third act, she started a genealogical journey to uncover the details of her grandparents’ lives. She concluded that the story needed to be told as fiction using the known facts as her framework. 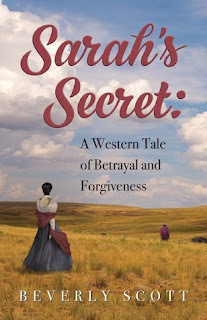 “Sarah’s Secret: A Western Tale of Betrayal and Forgiveness,” Bev’s debut novel, is the culmination of her long-held desire tell the family story and confirm the whispered story about her grandfather. Bev previously focused on publishing non-fiction work, including the second edition of “Consulting on the Inside,” which she co-authored with Kim Barnes, published in 2011. She has written numerous professional articles and contributed to “70 Things to Do When You Turn 70,” edited by Ronnie Sellers and Mark Chimsky. Bev blogs on several sites, including her own, “The Writing Life” on www.bevscott.com. Bev enjoys traveling, visiting with friends, reading and spending time with her grandsons. She lives with her spouse in San Francisco. 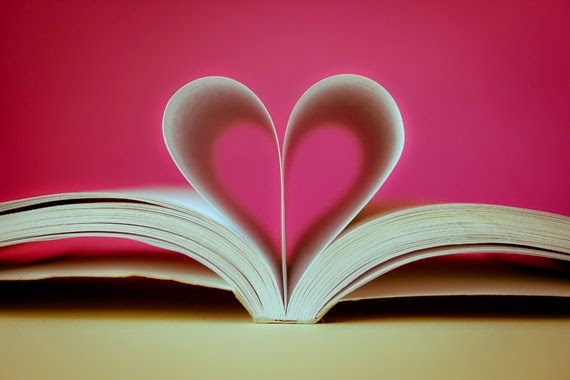 You can connect with Bev on Facebook, Pinterest, Amazon, and Goodreads. I enjoyed how this book was the telling of two different people's stories while telling one story. It was also nice to learn that this was based on the author's family's story. You can tell the author did her research when writing this book. The historical details really stood out for me. I liked how she described settings so you can see what she was talking about. Also the characters were developed so that they were real to you. Sarah was a strong person and new what she had to do to survive. This book was a well told story that moved along nicely. During the Blog Tour we will be giving away a paperback copy of Sarah’s Secret! To enter, please enter via the Gleam form below. – Giveaway ends at 11:59pm EST on September 4th. You must be 18 or older to enter. Thanks for reviewing Sarah's Secret. Glad you enjoyed the two strands of the story.